New York Scaffolding Injury Claims | Scaffold Falls | New York Personal Injury Lawyer | Silberstein, Awad & Miklos, P.C. Most construction sites require the use of scaffolding. Unfortunately, workers are injured when using scaffolds. Between 4000 and 5000 people are hurt each year and approximately 50 people a year die. Scaffold injuries and deaths are all too frequent occurrences which can ruin lives and devastate families. Scaffolds are a necessary part of construction work, but the resulting injuries and deaths are not. If you have been injured due to unsafe scaffolding, it is critical you speak with a New York scaffold injury attorney right away. Construction workers and their families don’t see the devastating consequences of working on scaffolds coming. When they do, Silberstein, Awad & Miklos can be counted on by you and your family to work with you to get the money and financial compensation you need and deserve. Protecting workplace safety is everyone’s job. That goes for the owners of the property, the general contractors, and all subcontractors. Opportunity for something to go wrong when using a scaffold is everywhere. Our New York scaffold injury attorney has represented people who have been injured in all types of scaffolding tragedies. Falls from scaffolds can be due to many causes and almost always, an injured worker can recover money damages for his injuries. Sometimes a worker is injured when he slips and falls on a scaffold which is covered with snow, ice or other slippery material. Sometimes the scaffold has an improper slope or improper footing. Scaffold staircases are all required to have slip-resistant landings and threads. A scaffold that collapses is usually due to improper construction and faulty maintenance and inspection. “Competent persons” as defined by OSHA must be designated to inspect scaffolding and worksites. We have handled all types of scaffolding cases. We of handle cases involving mobile scaffold, sometimes called Baker’s scaffolds, suspension scaffolds, and the standard stationary scaffold. In addition to the protection of the labor law, scaffolding incidents are covered by OSHA construction regulations subpart L and ANSI/ASSE A10.8-2011. It is no accident that construction workers are hurt using scaffolds in New York. 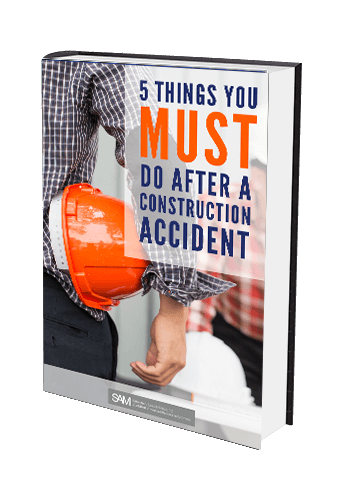 These injuries and deaths can be prevented by safe construction practices and when they aren’t, you need the energy of Silberstein, Awad & Miklos to get you the compensation you need and deserve. Join our team of clients who couldn’t have done it without us. Let’s begin by building a solid foundation and calling Silberstein, Awad & Miklos for construction injuries today.